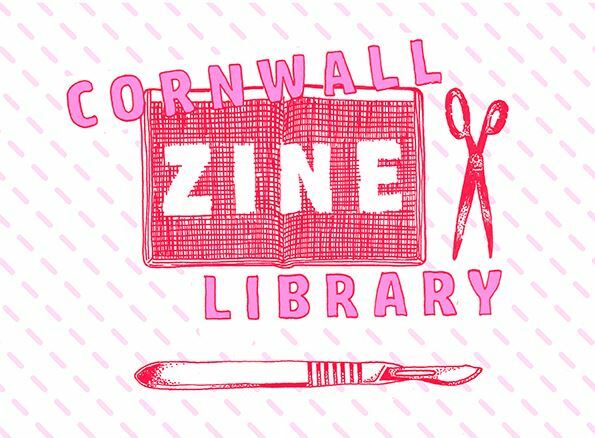 Cornwall Zine Library in collaboration with Fish Factory Arts would like to offer the opportunity for two zine makers to come, one week each, and make zines. The Fish Factory would provide you with a desk, access to dot matrix, riso printing and screen printing or if you’re like us, we will lend you our typewriter and stapler. The Fish Factory is where Cornwall Zine Library is housed. It is an art space, with gallery walls, artist’s studios and vegan café. Up for grabs is a weeks no fee residency at the Fish, including a weeks no fee stay at The Art House in Falmouth nearby. All you’d need is cash for getting here and back and pasties. Penryn is a small Cornish village along the river Fal running into the sea. There is a post office, two chip shops, a library, a bunch of artists and a couple of pubs. You’ll love it. Making zines is the easy bit, it’s the dissemination which is both tricky and important. That’s what zine libraries are for and why zine residencies are radical, to form connections between zine makers all over the place. We are offering two one week zine residencies from the 19th May – 26th May and 26th May - 2nd June. Specify which week you’d be interested in in your application. Deadline for applications is April 14th and we’ll get back to you by April 19th. We are offering free residency space and free accommodation for artists. We're working on it! We currently have one step into the building at the side, and are waiting for a ramp to be added. We are currently upgrading our toilet to be fully accessible. We promote our events via our website, social media and mailing list. Posters etc will be distributed locally.